It is do or die time in Rugby East as the top four teams prepare their final salvos. All four still have the title within reach, though Penn State is a very clear front runner. As the sole remaining undefeated team, it’s elementary. Win both remaining games, with or without bonus points, and take home the title. The Nittany Lions host Wheeling-Jesuit this week and Kutztown next. Though they are only two wins away from their first conference title under Blake Burdette, they are still not putting the cart in front of the horse. “We’re (just) trying to play Wheeling, as our last game at home,” said Burdette. “So, yeah, the boys are really excited… (but) from our last couple weeks we’re working at executing some of the things we do a little better.” It’s a constant mantra from Burdette and his players, “Back to basics” and “Always play better”. Penn State’s bye came at what Burdette said was the perfect point in their season. After six hard charging conference matches (and two out of conference before that), some niggling injuries had begun to creep in. The Nittany Lions enjoyed their rest and got to take in the Nittany Lion football weekend at home, as a bonus. Unfortunately for Wheeling, there was no such bye this late in the year and the injury bug has bitten them quite a bit harder. 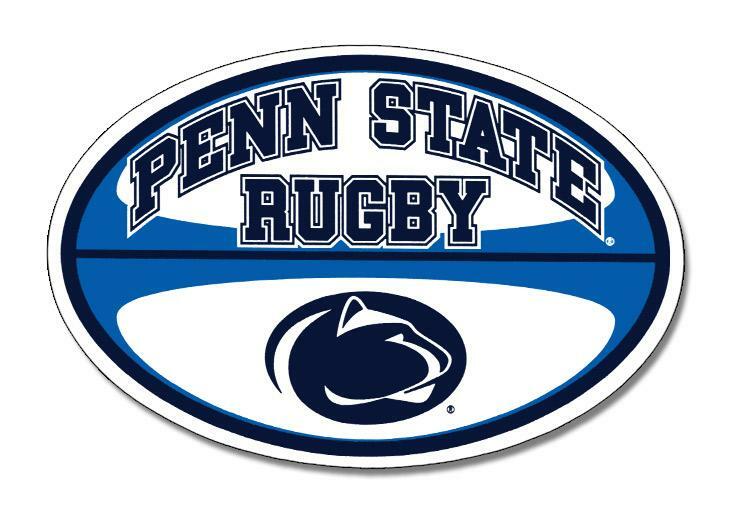 Three major cogs in the Jesuit machinery, Captain and lock, Hugh McAllister; scrum-half, Zach Stramanak and superstar fly-half Allan Hanson have all been unavailable since the Kutztown upset three weeks ago. McAllister is listed as questionable for Friday’s match, but Hanson and Stramanak are both definitely out. Hanson’s injury in particular is a tough one. His MRI on Wednesday showed full tears to the ACL, and both menisci, with another partial tear to the MCL, all in his plant leg. Head Coach Tommy Duffy believes the initial injury occurred while playing Iona back on Sept. 23rd and that degradation continued until the catastrophic tears occurred at the end of the KU match. Currently in third place, Wheeling is mathematically still in the hunt for the conference title so the timing is pretty bad for Wheeling, in a season that has already been tumultuous enough. Duffy will call on Soph. Joe Broderick to replace Hanson and Sr. Dominic Piazza will replace Stramanak. Knowing where the weaknesses are, Wheeling will probably want to keep things Forward driven, and smart through the Backs. Their set piece consistency, on the backs of Frank Rolf, Chris Ghering and Peter Malcolm will play another key role in keeping things controlled. Penn State’s pack is of course no slouch either though. Their front row of Jordan Croft, Cory Klems and Zach Barnes has been quietly pushing teams around all year, so Wheeling will need all of their engines pumping if they are to pull a second major upset on the year. Wheeling is known for turning momentum quickly too though, so it could be interesting if we see Penn State’s crafty Mike Dabulas try anything too nifty against the Cardinals somewhat depleted backline.